Rooms101.com - More Than Just A Travel Website! Rooms101.com is the uncontested leader in promotional vacations! For over 29 years the staff and leadership of Rooms101 have been going the extra mile to locate and provide the best travel deals for our clients! We have consistently provided superb and truly outstanding customer service to all of our clients. We are an industry leader and continue to set the bar higher for our peers! Rooms101.com specializes in promotional vacations. We locate and investigate the best deals offered by resorts for promotional vacations. Promotional vacations require the traveler to attend a 90-120 minute resort preview and/or presentation on the benefits of vacation ownership. The staff of Rooms101.com prides itself on selectively placing our clients in only the best and most distinguished brands across the globe. We refuse to deal with anyone but the best. Our roster of resorts and hospitality brands include, but are not limited to Wyndham® , Radisson®, Sol Melia® , BlueGreen® , Sandos® , etc….! Rooms101.com firmly believes in the concept of vacation ownership and believes there is no better time than the present to take advantage of the multitude of promotional offers to preview and experience the benefits of vacation ownership resorts and hotels. The average American family travels 100 miles or more from home at least 14 days a year according to Federal statistics. Those considering “second homes” in the boom times of yesteryear are likely perfectly positioned to take advantage of “shared ownership” vacation ownership plans. Indeed, the European concept of shared fiscal responsibility for vacation ownership seems to be the ideal fit for the present frugal economic climate in America. Nonetheless, Rooms101.com is not in the business of selling vacation ownership products. 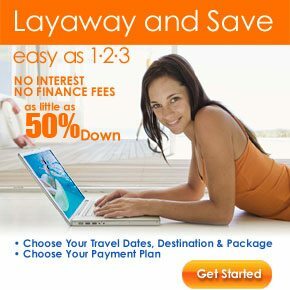 In fact we, are licensed travel agents seeking to find you and your family the best vacation deals! Accordingly, we believe the simple trade of 90 – 120 minutes of your time for a incredible deal on your vacation is a “no-brainer” and we are proud to bring you the best deals offered! There are no expectations. You are only asked to maintain an open mind. If you are truly not interested, please don’t pretend to be. This only serves to waste the time of the salesperson. The product he or she is presenting is a good one and they deserve to have the opportunity to present it to the next family/individuals who have chosen to participate in this opportunity.